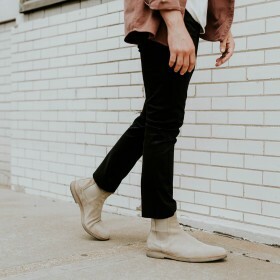 Men’s ankle boots is a relatively broad term, which is why Fashiola has some easy to use filters to have you narrow down exactly what you’re looking for! On Fashiola you can scroll through more specific types of ankle boots, from lace-up to cheslea boots, but if you wanted to browse through the whole collection this is the place to start. You can use the filters to find your size, choice of material and favorite color. For example, are you searching for a pair of leather boots to complete a sophisticated business casual look? Follow the link to find the perfect pair!